""Good service would use the collection option again Car returned cleaned ""
What are the key female-orientated cars of the last five years? The MINI, the Fiat 500 and the Nissan Juke I'd say. All have been lately updated. And all look pretty much the same as they did before. Which is either laziness on their makers' part. Or testament to how right those brands got things in the first place. Let's check out the latest Juke, the car that kick-started the trend for small, fashionable Crossovers. The changes made to this revised model are slight. They include a more striking dark chrome V-motion grille, dark headlamp trimming and dark turn indicators on the door mirrors. And there's an even wider range of vibrant body colours. This is one of the bigger cars in its class, but it remains one of the more fashionable ones, inside as well as out. I love the motorbike-style central console that continues inside and features such as the console, door trims and other elements can be individually coloured red, white, black or even bright yellow. As for the luggage bay, well rivals offer more cargo space but here you get a still-respectable 354-litres. Versatility is enhanced with flat folding rear seat, making it easier to load large objects, while the inclusion of a two-stage floor in the luggage area makes the space on offer even more flexible. The main thing wrong with the original Juke in my humble opinion was its wheezy entry-level 1.6-litre engine. You can still get that (in fact you have to have it if you want an affordable model with auto transmission) but you'd do much better to buy yourself a car fitted out with the pleasanter 1.2 DIG-T petrol turbocharged unit. This 1197cc turbo four packs a real punch, offering sharper acceleration and greater torque than the wheezier normally aspirated 1.6. A turbocharged 1.6-litre DIG-T unit is offered at the top of the range, producing 190PS and available in both front and all-wheel drive versions. Go for an all-wheel drive variant and you have the option to specify the Xtronic transmission gearbox, which further improves fuel efficiency and acceleration. Should you want diesel power, there's also a 110PS 1.5-litre dCi version. 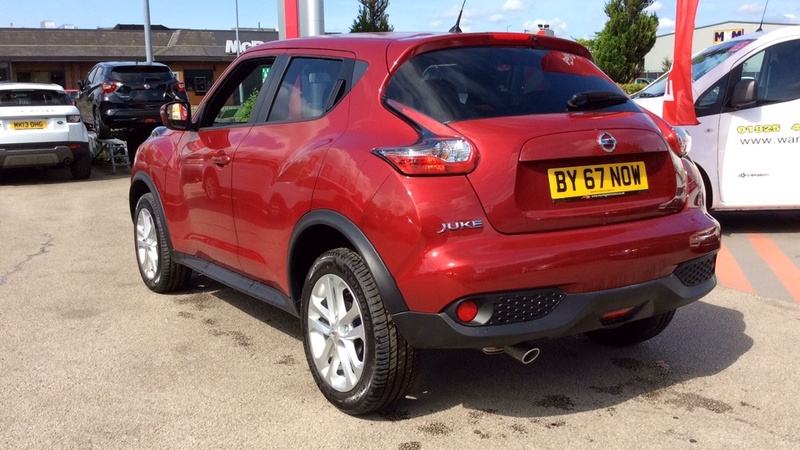 The Juke's elevated stance but diminutive overall length doesn't promise a stellar driving experience, but within a few yards you'll realise that this is a fun car to hustle about. 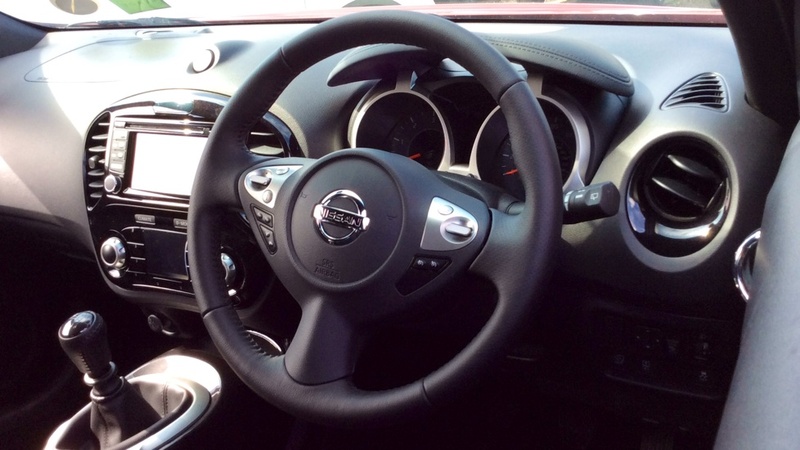 Nissan Dynamic Control helps here; an advanced driver control system giving the choice of three different driving modes, Normal, Sport or Eco, along with instant driving information and vehicle setting controls. The torque vectoring system on the all-wheel drive model incorporates technology that Nissan initially used to such devastating effect on their GT-R supercar-slayer. 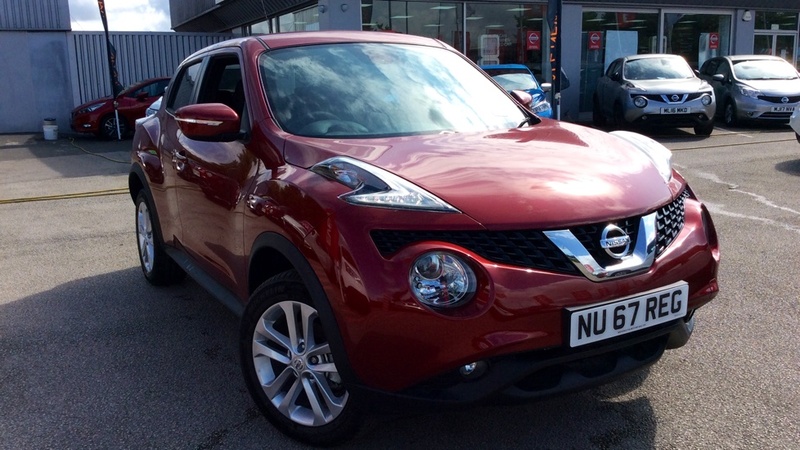 One of the reasons the Juke has sold so well is that it's very affordable. Some rival manufacturers in this segment still wonder how Nissan can sell the Juke from as little as £15,000. It's not as if the Juke is lacking in equipment either. Standard on all models are LED daytime running lamps, a CD radio with an AUX-in socket, a gear-shift indicator and a tyre pressure monitor. The Visia 1.5 dCi and 1.6-litre DIG-T versions add alloy wheels, manual air conditioning, a drive computer and driver seat height adjustment. Go for the Acenta trim and you receive front fog lights, 17-inch alloy wheels, automatic air conditioning, remote audio controls, Bluetooth connectivity for phone and audio streaming, cruise control and a speed limiter, along with the Nissan Dynamic Control System and chrome interior touches. It's no wonder this model has proven so popular. Top Tekna models add power folding door mirrors, light and rain sensors, keyless entry and the NissanConnect package which gives you a rear-view parking/reversing camera, an 'Around View' Monitor and the brand's 'Safety Shield' set-up. NissanConnect offers smartphone connectivity through a 5.8-in colour touch screen. The sat nav system integrates with Google to give information that ranges from weather forecasts to the location of fuel stations, hotels, restaurants and other points of interest. A clever send-to-car function also allows drivers to search for their destination on their PC at home, then send destination instructions to their car's NissanConnect system at the click of a button. The set-up includes Bluetooth audio streaming and mobile phone integration, as well as AUX-in and USB slots. As for running costs, well the 1.2-litre turbo petrol engine makes good use of its lower weight, standard automatic Stop/Start feature and fuel-efficient operation, delivering 128g/km of CO2 and returning a combined fuel consumption figure of 49.6mpg. The 1.6-litre DIG-T petrol unit features emissions of 139g/km of CO2 for the 2WD versions. All give best to the diesel engine which returns better than 70mpg. Insurance is very competitive too, with an opening rating of 11E. Willingly. Yes, Nissan could have gone a little further with the exterior changes but the Juke was already an extreme-looking thing and going overboard with styling updates would have probably spoiled it. I'm happy it's stayed as cheeky and appealing as it always was. I like the Juke, it's a good car, this is my second one. 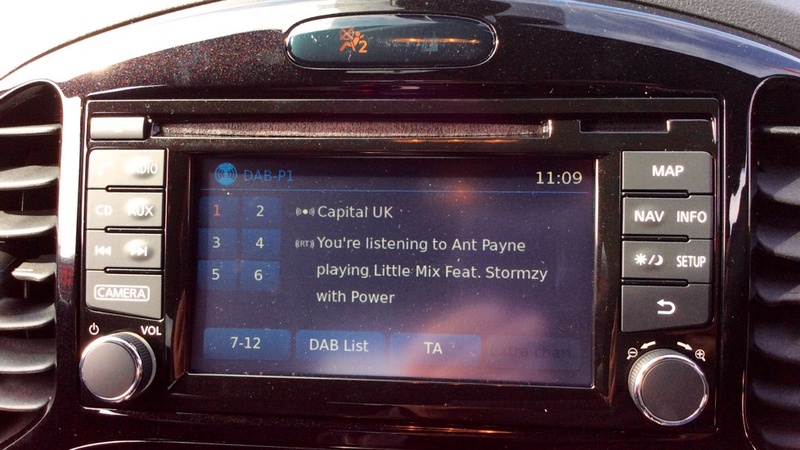 The new car is especially good as it has the BOSE system, SATNAV, and rear camera. The only thing that annoys me about it is the seatbelt, it falls behind the seat and is a right pain to retrieve it, so you have to ensure you put it on the seat when you take it off to avoid scraping your knuckles. Other than that, a great car. I am so happy with the car. 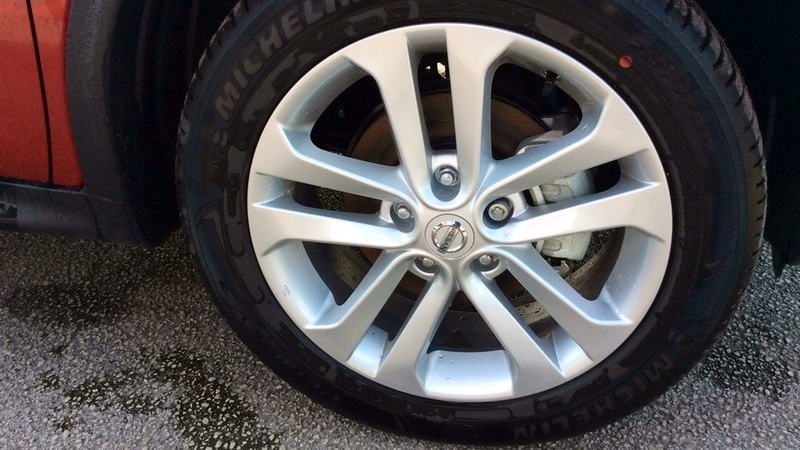 The size is great, the drive is fantastic and nice size for a family car. 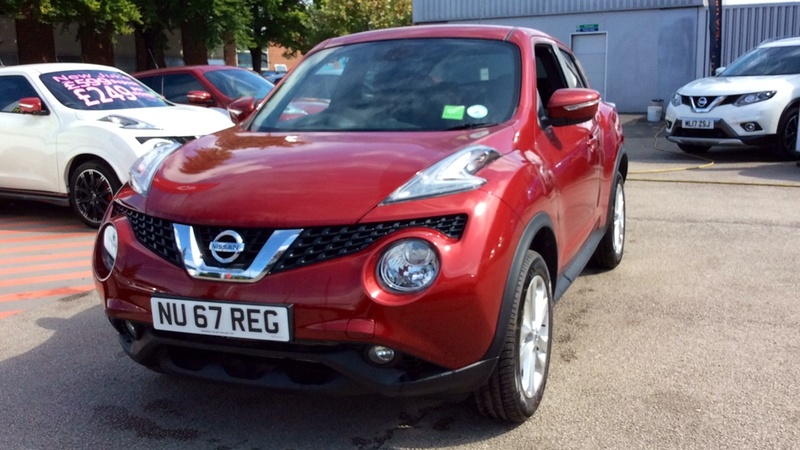 I absolutely love my new Juke - I have the special edition Envy and it looks amazing with the 18in black wheels, Detroit red trim and mirrors, pearlescent paint and Toyota black bumper finishers - it looks great. 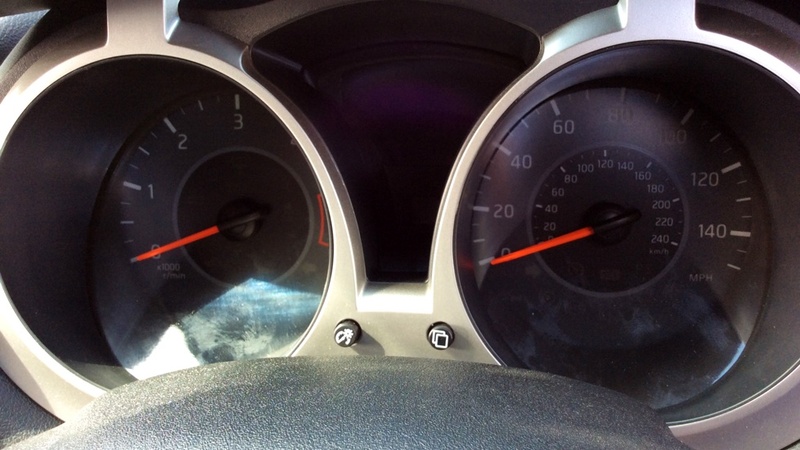 It is very nippy, great on fuel, good sized boot - a great all round car LOVE IT. 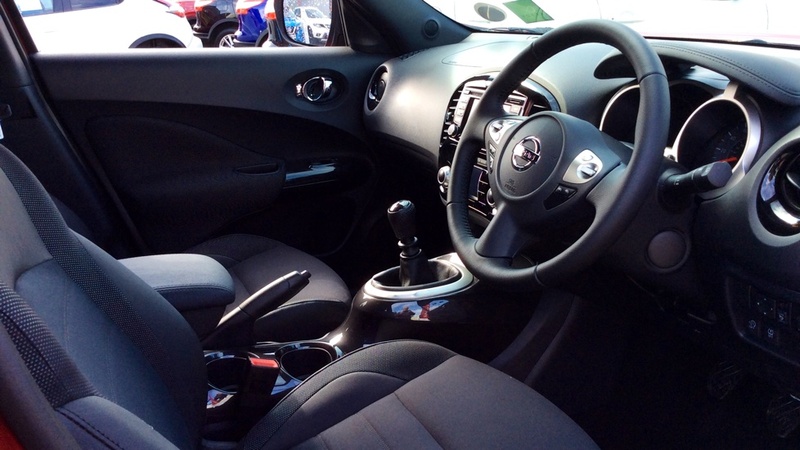 Loving my new Juke N-Tec - Comfortable, lovely drive. Gives me feelings of security. I love it! Great family car and a bit of fun for dad. Eco mode gives reasonable fuel economy of 41mpg, whilst sport mode is really fast and never fails to put a smile on my face! The styling is different than run of the mill cars and the driving is compromised slightly which is understandable looking at the price of a proper sports car with all the bells and whistles. Fantastic car, very comfortable and easy to drive and economical to. What more can you want from a car. I'm so happy with my car and the customer services I recieved from the dealership. 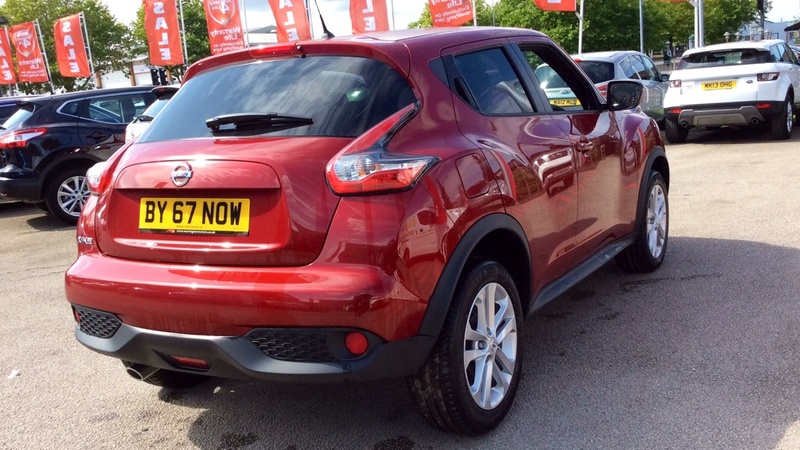 Really, really pleased with my new Juke. Still getting used to the new keyless entry and not having an ignition, but in time should be ok. Very pleased, much bigger than my other Juke, more room in the boot and very clever gadgets and the four point camera is amazing. 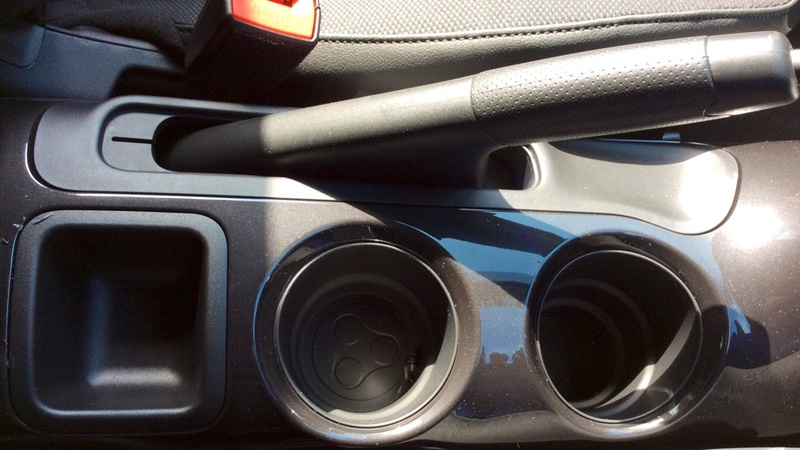 The Nissan Juke feels solidly built, it's quick for a diesel and is very comfortable, my only gripe is when Nissan made the right hand drive version they didn't alter the centre console, so the handbrake is on the passenger side and the cup holders are on the drivers side, but it's just a case if getting used to it. Apart from that, the gadgets are easy to use, and doesn't take long to master, all in all a very good car indeed. 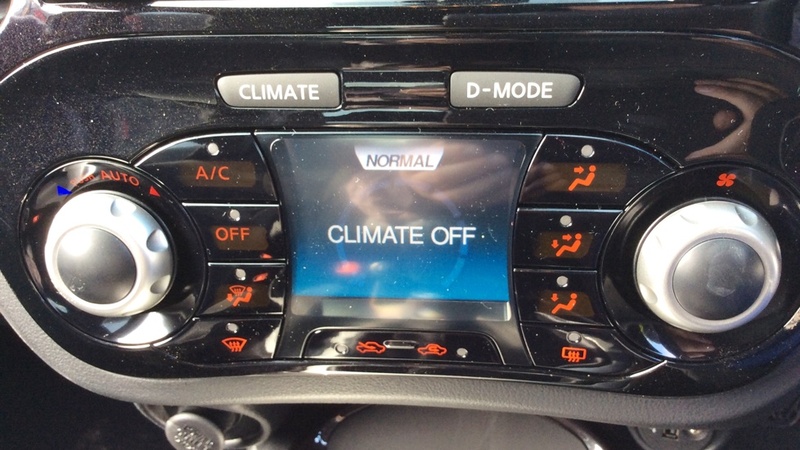 It's fantastic - those seat warmers are great this time of year. The car handles really well. The service I got was fantastic - telling all my friends! I love it : the drive is so smooth. Pleased with comfort and drive. Getting used to the lighter steering and reversing camera but think it will be great. Love my Nissan Juke, it's a smooth drive an full of great gadgets could not wish for a better car. 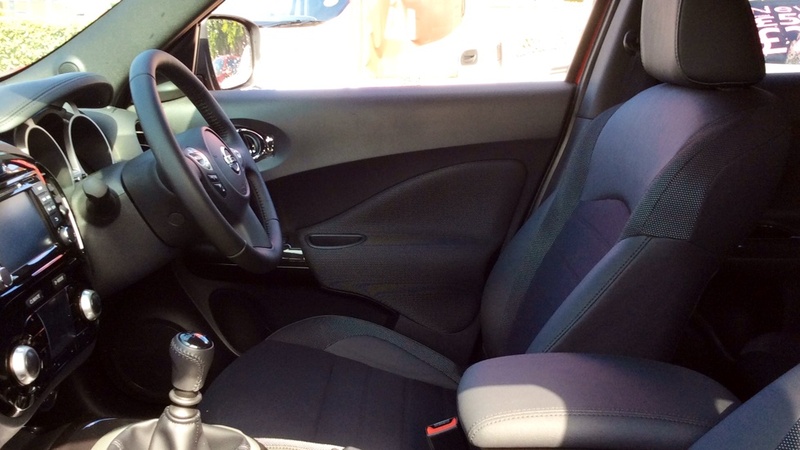 The 2014 Nissan Juke Acenta is a class above other super-minis in looks and overall driver satisfaction. 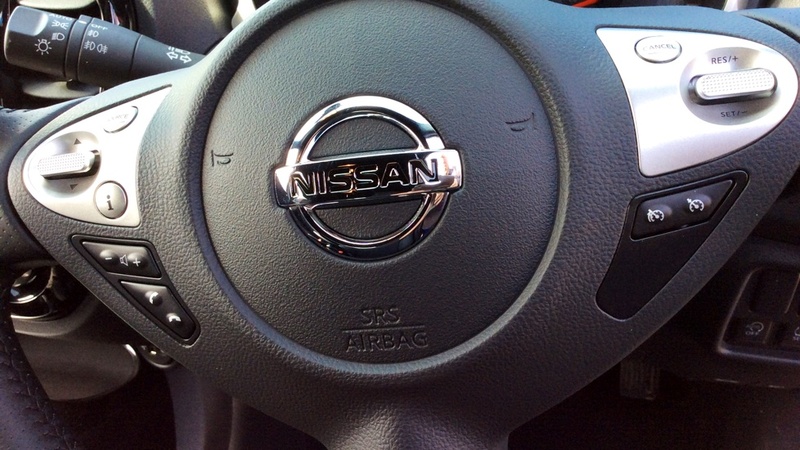 Nissan from day one have set standards by looking after the customer first and foremost and still making a profit which is after all good business sense in the long term! The company have listened to constructive customer critique and changes have been made within the price and profit margin range and your model specification choices. In other words you get what you pay for. Your personal choice and budget will give you the car you can afford but the shape and drive is the same as is standard safety and comfort levels. If I had the money I would buy a Qashqai after all its been voted car of the year by the motoring experts. Having said that some of them have been a little a little picky with their review of the new styled 2014 Juke. I had a Kia Venga diesel before changing this September and the Juke is far better in ride, comfort, technology, MPG, equipment levels and response. This is no mean feat as Kia have a good reputation and yet Nissan have managed to go the extra mile. I read that the Juke diesel engine is noisy - it is not unless you hang your head out of the window as with the Venga or Soul diesel! The extra miles per gallon or litre is better than most others. I read that the back seats are a little cramped - it is not unless you have six foot tall kids. Its a super mini not a saloon car! 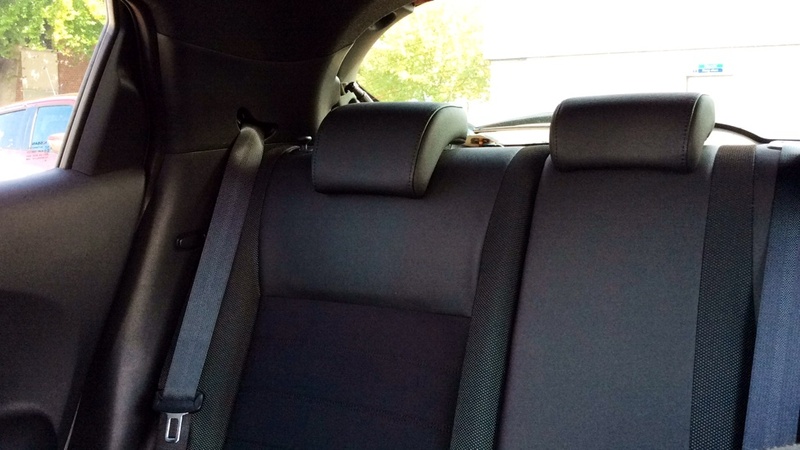 I have had two adults in the back, three would definitely be a crowd but two other adults were more than comfortable. 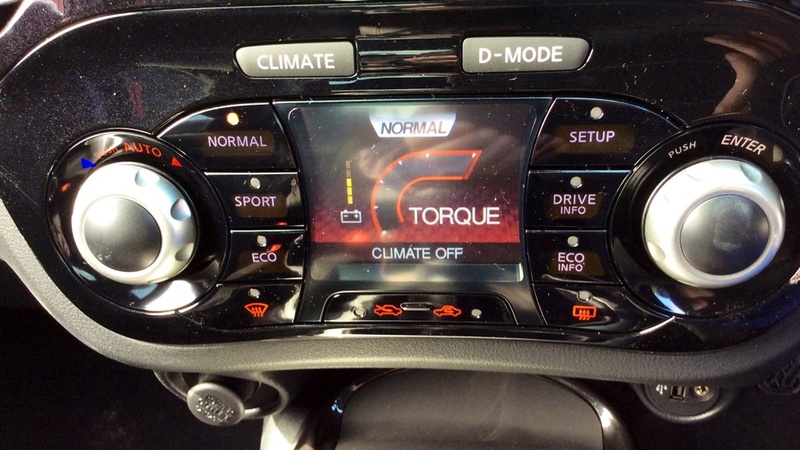 I have read that the gear box could be difficult to work with - nonsense, the Kia had six gears as well. You can easily change up and down and are aided in this on the facia read out. Some would compare and go for the Kia Soul but I personally don't want a box on wheels so each to their own. Am I happy with the Juke - absolutely yes. Would I buy and recommend to others - absolutely yes. No car is totally perfect but having seen and tested Nissan's marketing strategy and vision they will continue to improve and go forward above many of their competitors. That's my honest opinion, I've driven a number of cars over the years and wisdom comes with years. It's a case of taste and see and Warrington Motors are as good as their word, friendly, efficient, competitive and especially in their after sales service - so ask for Chris Barron in sales and Tim Scott their service manager, a man of his word which is everything in this day and age. 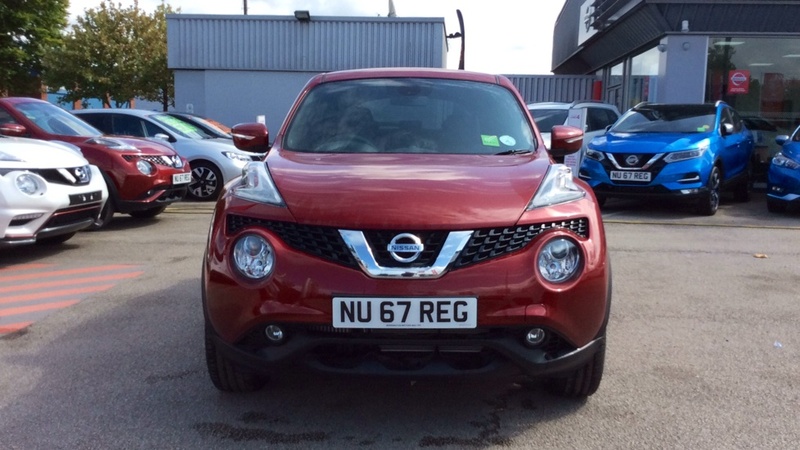 I recently bought the Nissan Juke Acenta sport from Warrington Motors. I couldn't be happier. So far it is proving very economical and is a lovely drive. I feel safe and secure in it and it is very sturdy. The trimmings make it look very classy. Very happy Juke owner. Hi really enjoying my car,and hope to see you soonest. Love the juke great car inside and out. Chris at Warrington motors couldn't do enough for my husband and I. Just purchased a new Nissan Juke. After the first 6 days very pleased but still learning. 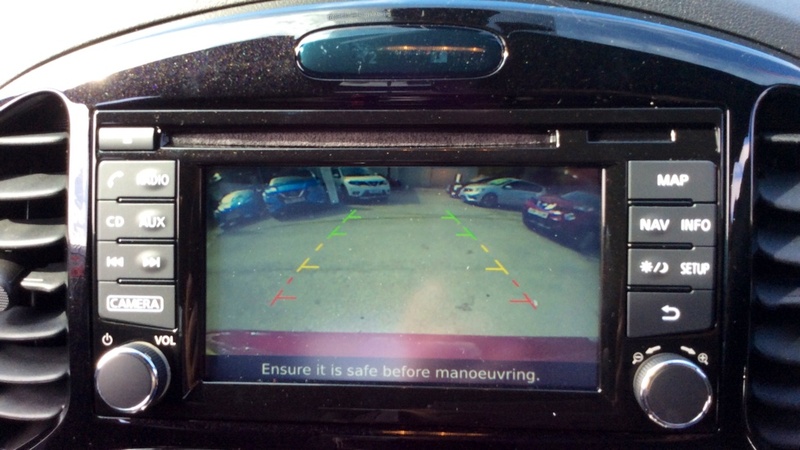 Controls are easy to use, find and adapt after years with another vehicle. Road handling and acceleration are impressive. It's also very comfortable and the wife agrees. 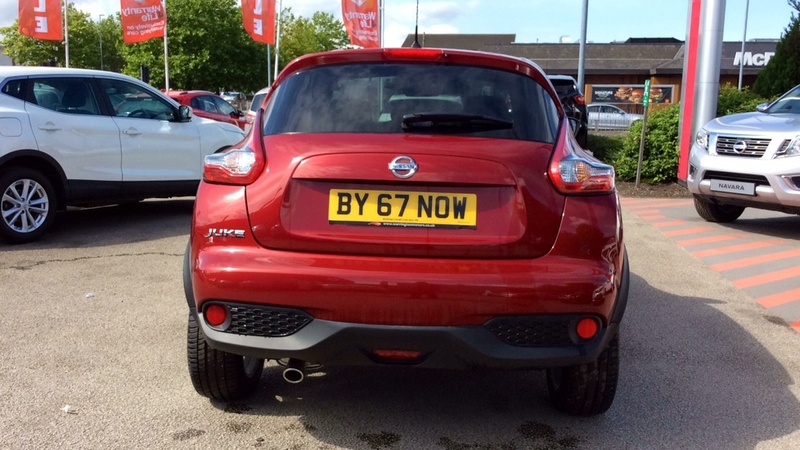 Love the new Nissan Juke. The new turbo engine is nippier than the 1.6 and the new alterations to the boot and interior are great, as is the camera...great service at Warrington Motors from Nick including a good overview of all the new tech so I could use everything straight away. Thanks! A very comfortable car to drive, it's a car that certainly makes people take a second look. 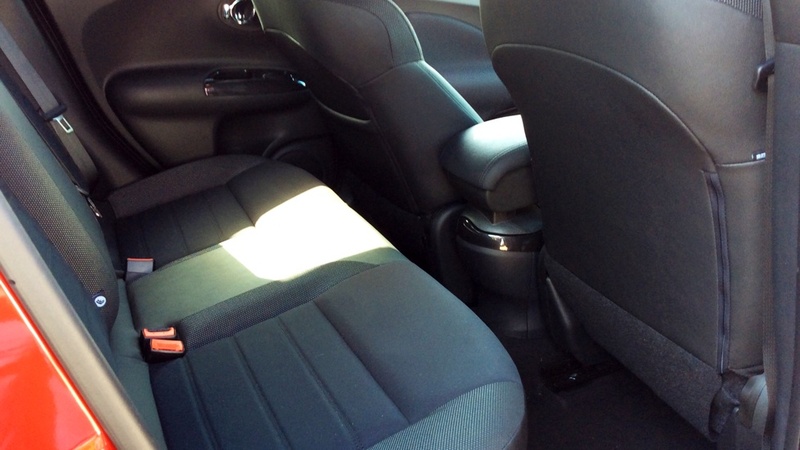 Lots of extras inside the car and very spacious. I would highly recommend the new Nissan Juke. The Nissan Juke ntec is a great family car, super to drive and not short on gadgets and good likes either. After driving a small super mini I finally feel like I'm driving a real car with a normal sized steering wheel! My next car will be a Juke. We have only had this car for a week, a Juke 1.6 auto, it is our first automatic, and our first Nissan. To say we are impressed is a total understatement, I had it in mind an auto is somewhat slow and jerky so have always avoided them, but this is neither, it is so smooth that I find it hard to recall an apropriate adjective. The car feels like a 40,000 pound model, no exaggeration, it is wholly responsive, amazingly comfortable, and eye catching to look at, all in all a pleasure to own and drive. On the downside, well ask me again in a few weeks because at the moment there is none, not even a small one. Very pleased with car so far only having driven for less than 100 miles. Confused by the number of variations available, thought we were buying a car with a turbo engine and automatic wing mirror stowing. Petrol consumption is also higher than expected. Our choice was made too hurriedly, which is our fault and for this reason we are not fully satisfied that we got value for our money. I have approached Nissan UK with regard to the wing mirrors and am still awaiting their answer. 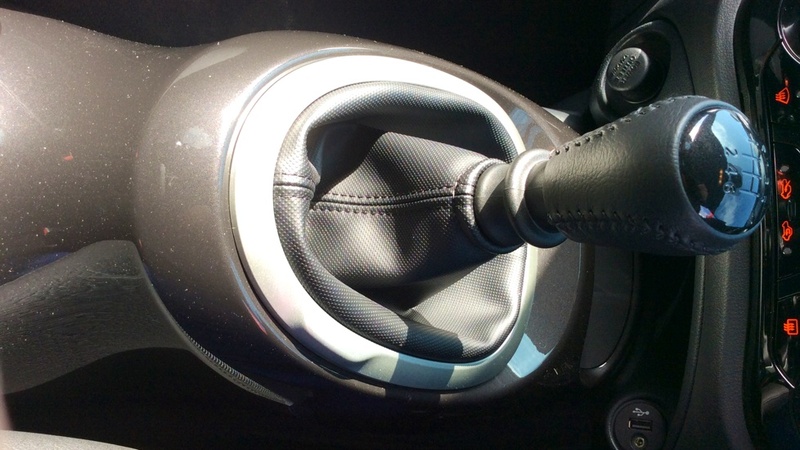 I am exploring the possibility of fitting automatic wing mirror positioning as is contained in other models of the Juke. Really happy with car very comfortable to drive and very economical just what I wanted.